The British Gazette » Brexit: Entering purgatory. Above, Kensington Palace, the site of a secret torture camp run by MI19 during World War Two. Anglo-Catholics and Roman Catholics believe in purgatory; an intermediate stage between this life and heaven. Basically they believe it’s a torture camp and how long you spend there and how bad the torture is depends upon what and how many “sins” you have committed in life. Giving lots of money to church is said to shorten the period and lessen the severity [of the torture] in direct proportion to the amount [of money] given! Whilst only the dead know what lies beyond the grave, what we do know is that sadly, torture is all too common in this world with numerous despotic regimes employing such on a regular basis. Furthermore, the sad fact is that it is not only despotic states such as North Korea who employ it. From time to time western democracies have employed it as well. This unfortunately includes the UK. 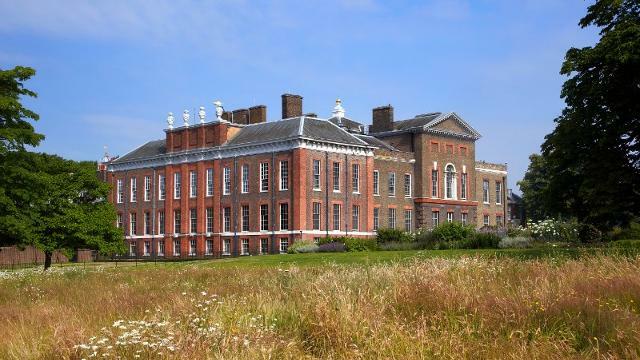 Kensington Palace was the site of a secret torture camp run by MI19 during World War Two. Of course the reader will know how the torture is supposed to work: The victim is taken to the cell/chamber/room where the torture is to be performed upon them. Sometimes the victim will be subject to torture as a punishment. Other times (as in the case of MI19) the victim will be asked questions and if the victim co-operates then the torture will not take place, or if it does, for a short time only. Well it seems that Madam May either knowingly or unknowingly is lining the UK up for a torture regime of it’s own devising! This is because Madam May’s Brexit programme is IMPOSSIBLE to achieve in 2 years, let alone, 1 year, 3 months and 29 days! Of course, we cannot know for certain what will happen in the future. We can but speculate. There is of course more than one speculative outcome. These outcomes will like an unfortunate victim of an interrogation where torture is used will depend upon how early in the proceedings, if at all, the victim decides to co-operate! For the UK, the Germans are already indicating that were the UK to decide to abandon the process, they could as Article 50, according to them is revocable! They add the rider that such revocation requires the consent of all 27 EU member states! Like the torture victim, the earlier the victim submits in the proceedings the less pain they will suffer! If Madam May wished to embrace the full torture regime she (and we) will experience the full unadulterated purgatory of what will seemingly be called the “implementation stage”! The “implementation stage” is the halfway [torture] house where the UK will reside between ceasing to be a member of the EU and reliant on the so-called “comprehensive free trade deal” negotiated by Madam May. This is for the simple reason that the UK is incapable of implementing a free trade relationship since the bureaucratic infrastructure does not exist to anything like the extent required! It is also clear that Frau Doktor Merkel is going to oversee the “special treatment” Madam May receives! For a start she is insisting that the methodology to calculate the amount of money the UK has to cough up is agreed BEFORE negotiations commence on the trade agreement! Other EU leaders have already stated that the agreement MUST BE INFERIOR to what the UK now has! This then has a depressing inevitability about it! What Madam May will be faced with is the prospect of coming away with two things: a deal which is INFERIOR to what we have and a BIG BILL! If she persists to Brexit she will then have to preside as Prime Minister during the “implementation stage” whislt continuing with the trade negotiations and also implement public spending cuts and/or tax hikes to pay the vast “divorce bill”! All in the run up to the 2020 General Election! It therefore becomes increasingly likely that Madam May will seek to abandon Brexit! Simple: Hold a second referendum! This of course is one reason why Madam May does not want to allow Ms Sturgeon a second referendum on Scottish independence! The British Gazette is now of the opinion that it is likely that Madam May will present the results of the negotiations to Parliament with the proposal that such are put to the British People in the form of a referendum! It is likely that unlike David Chameleon, Madam May will declare that the government will remain neutral and not endorse acceptance or rejection [of the deal]. Any members of the government wishing to campaign for or against will have to leave the government. For the Leavers, there will be UKIP and some Tory back bench MPs. They will declare loudly that they would have got a better agreement but people should still vote for the one Madam May has obtained. For the Remainers, there will be a spectrum of Tory back bench Europhiles, the bulk of Labour MP’s, ALL Lib-Dem MP’s and party members. IF Comrade Corbyn is still leader expect the second campaign to be run on the Leave side by UKIP and the Remain side by the Lib-Dems and the Greens! Unless loosing money is a source of pleasure for you, DO NOT bet on Leave winning!